Coinbase Custody — the Custody team is planning to add support for deposits and withdrawals of Ethereum Classic. Note that Custody will likely support more assets than those available to trade on Coinbase Markets, Coinbase Pro, Coinbase Prime and Coinbase for the foreseeable future. Coinbase Markets — the Markets team is planning to add trading support for Ethereum Classic. In accordance with our Trading Rules, all ETC books will open in post-only for a minimum of one hour. If sufficient liquidity is established, trading will then be enabled on Pro and Prime. Coinbase Pro — the Pro team is planning to add trading support for Ethereum Classic. Note that customers who previously had an Ethereum Classic balance on the platform as a result of the 2016 Ethereum hard fork and did not elect to withdraw their funds prior to January 2017 will receive a corresponding Ethereum Classic credit. Coinbase Prime — the Prime team is planning to add trading support for Ethereum Classic. Note that customers who previously had an Ethereum Classic balance on the platform as a result of the 2016 Ethereum hard fork and did not elect to withdraw their funds prior to January 2017 will receive a corresponding Ethereum Classic credit. Coinbase Asset Management — any asset listed on Coinbase Markets will be added to Coinbase Index in accordance with the Coinbase Index methodology. Coinbase Index Fund will rebalance to include Ethereum Classic. Coinbase — per our previous guidance, Coinbase will list assets only after they are listed on Coinbase Pro and Prime. After evaluating factors such as liquidity, price stability, and other market health metrics, we may choose to add Ethereum Classic to the Coinbase platform. It’s also worth repeating that Coinbase Markets, Coinbase Pro and Coinbase Prime will likely have more assets listed on the platform than the Coinbase platform, i.e. listing on Coinbase Markets does not guarantee listing on Coinbase. Per our public process for adding new assets, we will now begin the engineering work (Step 4) for supporting Ethereum Classic. As part of this process, customers can expect to see public-facing APIs and other signs that the asset is being added. When we reach the final testing phase of the technical integration, which we expect to occur over the next few months, we will publicly announce a launch date for trading via our blog and Twitter (Step 5). Q: How will you roll out trading support for a new asset? When we reach the final testing of the technical integration, we will announce a date that customers on Pro and Prime can begin placing limit orders on the Ethereum Classic order book on Coinbase Markets. Once that resting market reaches sufficient liquidity, we will then enable trading. Q: What geographies will you offer support for Ethereum Classic? 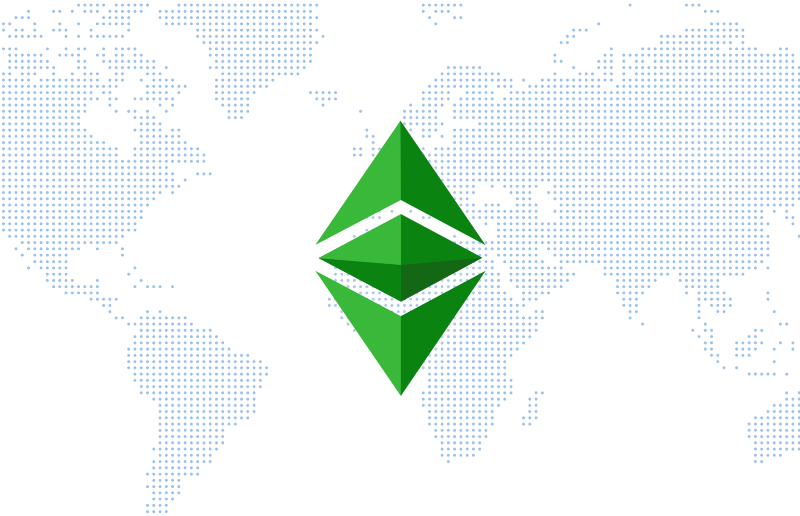 We plan to offer support for Ethereum Classic in all geographies where the asset is compliant with local law. Q: How did you control for material nonpublic information when deciding to add support for Ethereum Classic? We followed our public process for adding new assets to Coinbase. Also, any personnel at Coinbase who were aware of the company’s plans to add Ethereum Classic were subject to a trading blackout. We have previously announced our intention to support the ERC20 technical standard and Bitcoin forks. We will announce the intention to add specific assets within those categories prior to final engineering integration. This is consistent with our public process for adding new assets. Q: I had Ethereum on GDAX at the time of the July 2016 hard fork and I did not withdraw my Ethereum Classic prior to January 2017. Will I receive an Ethereum Classic credit when trading launches? Yes. Note that Ethereum was only supported on GDAX at the time of the July 2016 hard fork. Support for Ethereum on Coinbase’s consumer interface was added after the hard fork, so only exchange users that had Ethereum balances were subsequently eligible for Ethereum Classic withdrawals. If you want offer me a coffee and support the project, just buy the pro version! Thank you to Gastracker API and cryptocompare API.! Signatures for all release artifact archives are included in signatures-v5.5.0-382aa8f.tar. For instructions on using gpg to verify a release artifact, please visit the Verify Release Artifacts page on the Wiki. If you’ve never had a CEW wallet before then enter a password on this screen and click “Create New Wallet”. Please follow the instructions carefully and follow them exactly as they say, doing so is the best way to ensure your ETC is stored safely. Remember that Cryptocurrencies, ETC included, are more like cash than credit. You wouldn’t store your cash unsafely, don’t store your Cryptocurrency unsafely. Follow the wallet instructions, protect your private key, and you’ll be just fine. Make sure to save your public address (not private key) somewhere easily accessible so that you have it handy if someone wants to send you ETC. There’s no need to use a wallet to confirm transactions but if you want you can check via CEW using the “View Wallet Info” function on CEW. The safest way of which is to select the “View with Address Only” option and entering your public address. If you have forgotten your public address you can get it again using the .json file you created earlier with CEW, or your hardware wallet (if you have one). To view your address (without sending any ETC) click on “View Wallet Info” and select your method for viewing. Then click on Unlock. An example is below. Select your method in the circled area on the left, do what the middle section of the screen tells you, and click “Unlock”. On the next screen your address will be displayed in the section highlighted in yellow. Copy this and provide it to the sender. Do not copy or share anything that says private key, or unencrypted, no matter what. Do not share .json files. Anyone with access to any of these can take your ETC. To send ETC you’ll need your .json file, private key, mnemonic phrase, or hardware wallet (Trezor / Ledger Nano S). Click on “Send Ether & Tokens”, and then select your method on the left, do what the middle section of the screen tells you, and click “Unlock”. Once unlocked you enter the recipient’s address and the amount in the areas highlighted in yellow. Then click on “Generate Transaction”, followed by “Send Transaction”. A new screen will pop-up, please check it carefully to ensure that the transaction is as you want it. If it is you can click “Yes, I am sure! Make transaction”. This will send your ETC to the recipient. It is always a good idea to send a very small test transaction first, confirm the recipient has received the ETC, and then follow up with a second transaction. Even when sending to exchanges you’ll want to make sure it first reaches your account. This helps prevent accidental loss of ETC.